I've long been interested in dreams and visions of flight and space, something I experimented with a bit during the fantastic voyage of the Association of Autonomous Astronauts. 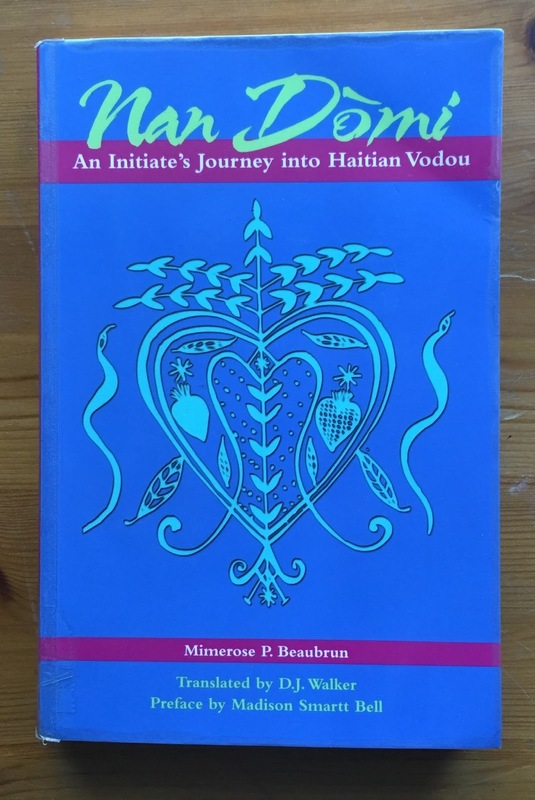 ‘Nan Domi’, Mimerose P. Beaubrun’s deeply personal account of her ‘inititiate’s journey into Haitian Vodou’, is much concerned with visions, dreams and the means for moving between visible and invisible worlds. The title itself refers to what the author describes as ‘the second level of attention... a state that permits one to see abstract things unknown until then. A lucid dream state’. Her mentor teaches her that she has three bodies- the physical body (kadav ko) supplemented by a ‘double’, the nannan - ‘our mystery side... that is conscious of the two states- the state of being awake, and the dreaming state’ - which ‘in Nan Domi... is enveloped in light and becomes light- the nannan-rev’. Her ‘Aunt’leads her on a visionary journey into space, ‘walking in the swarm of stars’. Opening with the words ‘Ann ay monte Anwo. N apray palmannaze nan Lapousiye’ (‘Lets ascend towards ecstasy. We are going to walk in the Milky Way’), her singing and the sound of the tchatcha rattle help Mimerose to ‘drift into somnolence’and then become ‘conscious of walking in a place where everything was coloured mauve... At intervals, an abyss opened and then fell away. A prolonged movement like the swell of big waves broke into foam the colour of yellow saffron. The scenes before me came and went, fast and fascinating. I plunged into them as one plunges into the sea. The waves rocked me, and suddenly I saw myself as a baby. I watched my own birth’. 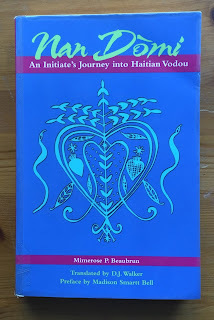 The author is lead singer and founding member of the Haitian band Boukman Eksperyan.